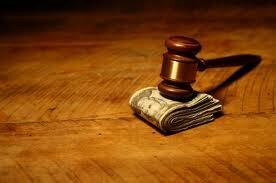 Permanent Alimony provides for ongoing monthly payments until the death or remarriage of the recipient. Recent changes in the law allow modifications in cases of “cohabitation in a financially supportive relationship,” even without remarriage. Durational Alimony is awarded to provide the receiving party with financial assistance during a period of time following the marriage, and may be modified or terminated. Durational alimony may not be awarded for a period of time exceeding the length of the marriage. Rehabilitative Alimony is alimony paid to allow the receiving spouse to gain new educational and/or employment skills so that they can support themselves. Rehabilitative alimony requires that a specific “plan” be submitted to the Court for the nature, length and costs of the education or employment training necessary. Bridge the Gap Alimony is alimony designed to carry a spouse over for a shorter period of time so that they can reestablish themselves. However, Bridge the Gap Alimony can only be awarded for up to two years. Lump-Sum Alimony is awarded by a Court when ongoing monthly payments are not possible or are not likely to be made in a timely manner.